Parliament Speaker Nabih Berri has denounced sanctions on Lebanese banks and other financial institutions as a form of Israeli aggression. Speaking at the Lebanese Emigrants Economic Conference in Beirut on Thursday (July 14), Berri said Israel is constantly trying to destroy Lebanon’s infrastructure and economy. Berri was apparently making reference to the US law, which calls for the closure of bank accounts of individuals and organizations suspected of links to Hezbollah. Hezbollah is credited with defending Lebanon against two wars launched by Israel – the US’s strongest ally in the region – in 2000 and 2006. Berri said Lebanon will eventually emerge triumphant through the assistance of its diaspora over a plot seeking to harm the country’s economy. “We only have hope from the expatriates, and right now we no longer have hope but from you,” he said. 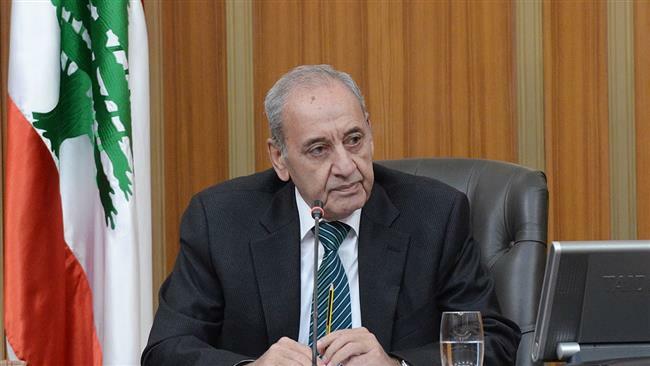 Berri further lashed out at Arab states over failure to honor their commitments to pay funds to Lebanon following Israel’s war on the country in the summer of 2006, saying only a third of the aid has been paid. In February, Riyadh suspended USD 3 billion in military assistance to the Lebanese military and another USD 1 billion to the country’s internal security forces. The kingdom also imposed sanctions on some Lebanese firms and individuals it accused of having links with Hezbollah. Last month, Governor of Bank of Lebanon Riad Salameh stated that 100 bank accounts linked to Hezbollah members and legislators had been closed. Hezbollah criticized the Central Bank of Lebanon for submitting to US pressures, saying the measures violated Lebanon’s sovereignty.